Sam atop the scratching post a few days after we adopted him in 2007, probably watching Emma play with her mice (we adopted them on the same day). 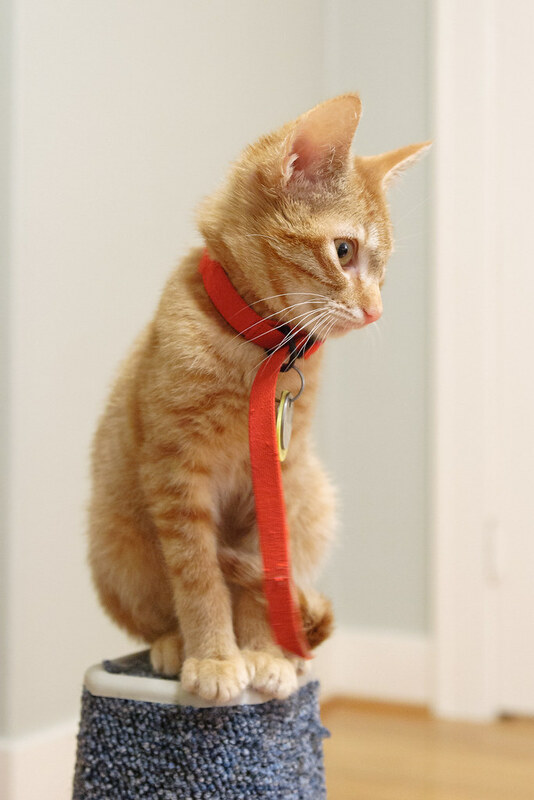 This entry was posted in Pets and tagged cat, kitten, orange tabby, perching, Sam, scratching post. Bookmark the permalink.